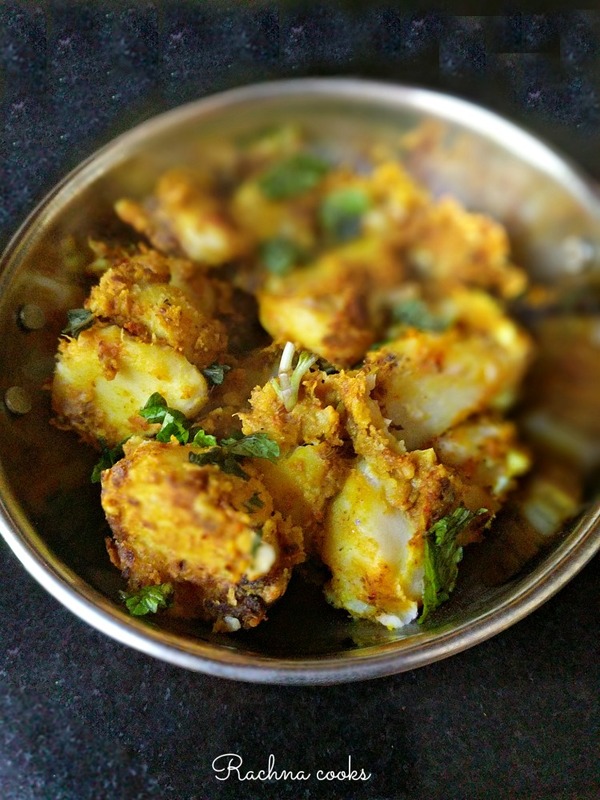 This is an easy recipe of arbi ki sabzi. It is simple and delicious. Perfect for fasting or just as a side dish for a meal. Boil arbi in a pressure cooker in adequate water. It normally takes about 4 whistles. Arbi should be cooked not mushy. Peel and chop the arbi into round pieces. Keep aside. Heat oil. Add cumin and asafoetida. Allow them to sputter. Now add arbi pieces and let them become golden brown. Now add all the spices and salt and cook for about 5 minutes more. Garnish with chopped coriander or mint leaves and serve hot. Arbi is also called taro root. This vegetable is similar to potato. If cooking during fasting substitute normal salt with sendha namak and oil with ghee. Your simple and nutritious arbi ki sabzi is ready to cook.